2092 - Photo: Keith Long. 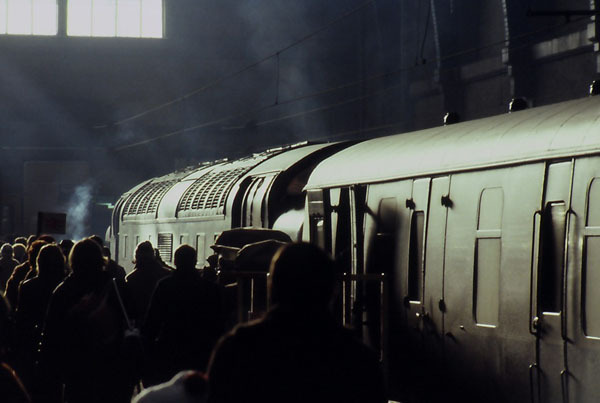 Time is running out for 55016 (D9016) "GORDON HIGHLANDER" as it sits at the stops at King's Cross on the 19th December 1981 with the 1A08 08:07 York - King's Cross service. An exhaust fire two days later would inevitably result in withdrawal, though happily the locomotive did survive into preservation.